More snow fell at Mt. Hood Meadows in a 24 hour period ending this morning than at any ski resort in North America, according to OnTheSnow.com. Meadows received 16″ of fresh, light powder the past 24 hours from a storm that has dumped 31″ since Saturday. The resort now has a 46″ snow depth in the base area and is set for the holidays. A YouTube Video of the Powder is posted here. Resort spokesman Dave Tragethon reports Meadows is now able to operate its lowest elevation lift – Hood River Express. “Now we are able to operate all six of our high-speed quads, from our lowest elevation of 4500 feet up to the highest at 7300 feet and we are very happy that this storm has deposited enough snow to open our terrain. It’s the perfect gift for the holidays.” The upper lifts can be affected by weather – storm systems and high winds, so Tragethon advises always checking the resort website www.SkiHood.com for the latest conditions and lift operational information. Meadows lifts operate daily from 9 AM – 9 PM through January 4, and until midnight New Year’s Eve. With this storm Meadows officials are confident that the resort will continue daily operations through the season. Meadows continues daily Park & Ride shuttles from Portland – a lift ticket and bus ride for an adult is just $79 – a great deal considering an adult lift ticket is $74. 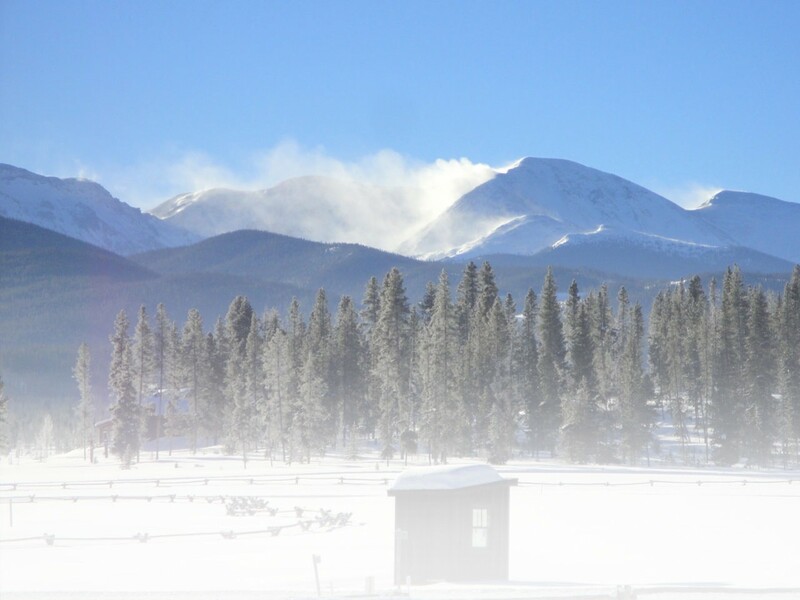 The Meadows Nordic Center continues to add trails for cross-country skiing as the resort receives more snow. It is open daily 9 AM – 4 PM offering rentals and instruction in addition to the groomed and set track. Meadows New Year’s Eve extravaganza has some tickets remaining. The resort presents an elaborate dinner buffet, a party with Dance Machine, fireworks and lifts operating until midnight. Packages can be purchased online including party bus transportation at www.SkiHood.com. This entry was posted in Adventure, Destinations, News, Trails, Winter Sports by Ryan Alford. Bookmark the permalink.